If you are a person who is looking for a way to make their life better and to make themselves feel better, diet and exercise are some good things to start with. 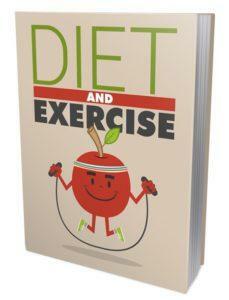 Your diet and exercise routine has a large impact on the way your body will feel and function. It is important to consume only what you will burn off. A wide variety of food is suggested, you want to consume a little bit of everything in moderation. A couple things that are important to stay away from are saturated fat and trans fat. It may be hard for you to stick to a diet and exercise routine, especially when it involves giving up some of your favorite foods. It is crucial that you do this if you wish to have a healthier body. It will take a great deal of commitment, dedication, and motivation, but it is possible. All you need is a source of information that you can use to guide you through the process of designing a diet and exercise routine. The following chapters in this book will provide you with information that will serve as your guide on your quest to a healthier mind, body, and spirit through dieting.